Ygrene, a leading provider of property-assessed clean energy financing, recently received a $250 million credit facility to continue to scale its residential and commercial clean energy financing. The credit facility follows on an existing $150 million credit facility that Ygrene uses to support its projects, which are currently in California and Florida. Property-assessed clean energy (PACE) programs allow investments in water- and energy-efficiency retrofits and distributed renewable generation to be paid back through property taxes, which lowers the risk for both lenders and owners and can potentially open up a far larger swath of the energy-efficiency market. The $250 million credit facility came from three unnamed banks, including one national bank and two multinational banks. Ygrene CEO Stacey Lawson said it plans to bring that money together with its current $150 million credit facility and introduce a $400 million securitization to the market later this year. Ygrene expects to move to quarterly securitizations in 2017. Although California is the market leader in PACE, both residential and commercial, Florida is growing quickly. For Ygrene, Lawson said Florida now has a faster growth curve for PACE financing than California. Florida accounts for more than one-quarter of Ygrene’s application volume and continues to scale. Ygrene will bring its financing to more states this year, including Georgia, Arkansas and Missouri. Florida PACE is escalating after a state supreme court ruling last year removed a barrier established by the Florida Bankers Association, which contested the validation of bonds that back PACE loans. Residential PACE is slowly coming to other states too. 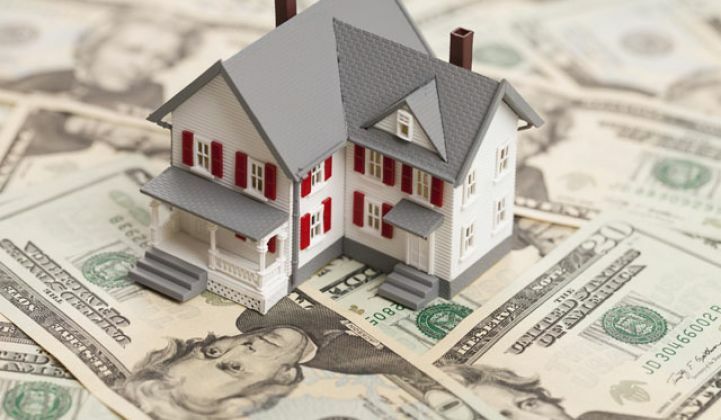 Guidance from the federal government last year through the Federal Housing Administration has helped make PACE financing attractive in more places. Billions of dollars have flowed to PACE in a few short years, but it is still mostly for a few big players, such as Ygrene, PACE Equity and Renovate America. “It’s still an early asset class,” said Lawson, adding that hopefully as more markets pick up PACE financing, it will allow for smaller players to take advantage of more liquidity in the market as well. Renovate America is responsible for much of the residential financing. It has already securitized $1 billion in PACE-backed securities in six transactions in the past two years. In April, Renovate America announced that the first four securitizations were designated as green bonds. Figtree Financial, another sizable PACE lender, raised $30 million in a round led by private equity firm LL Funds in March, which will be used for residential projects and also to accelerate its commercial PACE financing. More and more states are offering PACE. In April, Nebraska became one of the most recent states to approve PACE financing, according to Midwest Energy News. 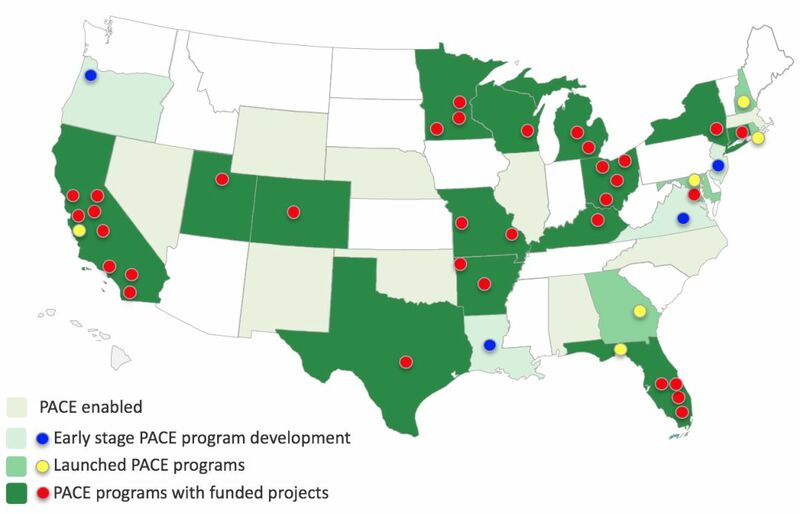 PACE legislation has been passed in 29 states and the District of Columbia, with more expected this year.